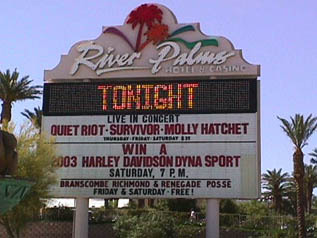 LAUGHLIN, NV...RIVER PALMS RESORT - HOTEL - CASINO was the site for the Sixth Annual Bikers World Armwrestling Championship April 26, 2003. 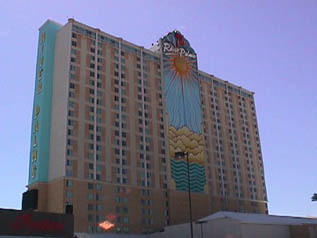 The championship was presented for the sixth year by the River Palms Resort, Hotel and Casino with help from our good friends at Budweiser who have long been a strong supporter of armwrestling. A good crowd was on hand for this sixth annual Bikers World Armwrestling Championship in Laughlin, Nevada.. Contestants was given a commemorative T-shirt of the event and the first three places were given plaques and bragging rights. First place winners received a gift certificate worth $175 for Harley equipment. 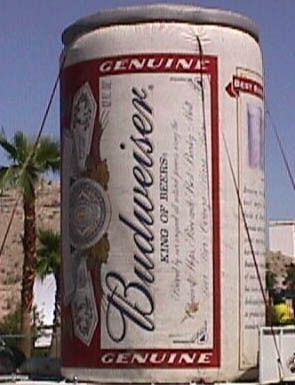 Thanks River Palms Resort, Hotel and Casino in Laughlin, Nevada and our good friends at Budweiser. 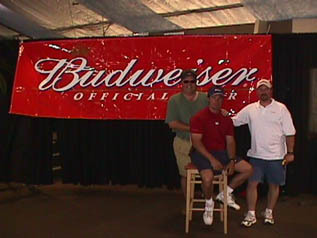 The ArmSports world sincerely appreciates the continued support of sponsors like River Palms and the many armwrestling events sponsored each year by Budweiser.